Turns out you can't just walk up to the White House gate. Who knew? Suit or no suit, championship rings or no, you can't just walk up to the White House it turns out..
Not so fast. Turns out there is a ton of security at the White House (who knew? ), and they don’t care how many championship rings you have. Pretty humorless folk, those Secret Service guys. 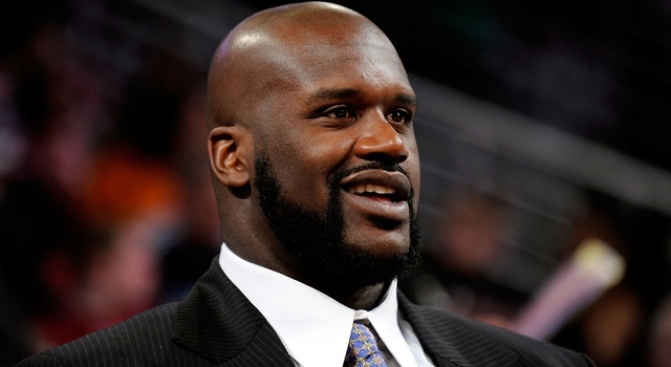 Shaq told some radio hosts that he put on his best suit and walked up to the gate and… look even if your name is Vladimir Putin, if you just walk up to the gates of the White House unannounced, you are not getting in. Have you ever been to an event the President is at? The security is ridiculous, and at the White House that is ridiculous to the 100th degree. They do not play around. Shaq, if you really want to meet the President, here’s all you need to do — stay out of LeBron’s way as he carries you to another NBA championship. Then you can go with the team, meet the man, maybe even get in some pickup ball. That or call ahead, there’s a decent chance you could swing your way into a highly coveted spot in the president’s regular pickup hoops game. We’d all love to see you knock around some White House aides in the paint. Hey, maybe we can get a few Senators in that game, they could use some knocking around, too.